Rod Brewer Designs Inc. has produced custom Screenprinting for over 40 years. We continue this tradition and look forward to serving your screenprinting needs. 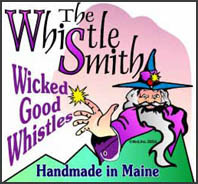 The Whistle Smith is a division of Rod Brewer Designs, Inc. that produces custom whistles playable by children and people of all ages. The current model of Fat-Fat the Water Rat is an exact copy of the original lure and is being handmade in a limited production of 1000 lures. 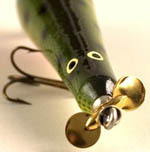 Each lure is an extraordinary addition to anyone’s fishing arsenal or lure collection. Artistic Urns was founded in 1997. After fiveyears of extensive testing on methods of construction, glues, finishes, and urn specifications and requirements, we are presenting a line of eight custom-made models. © 1997-2005 Rod Brewer Designs Inc.